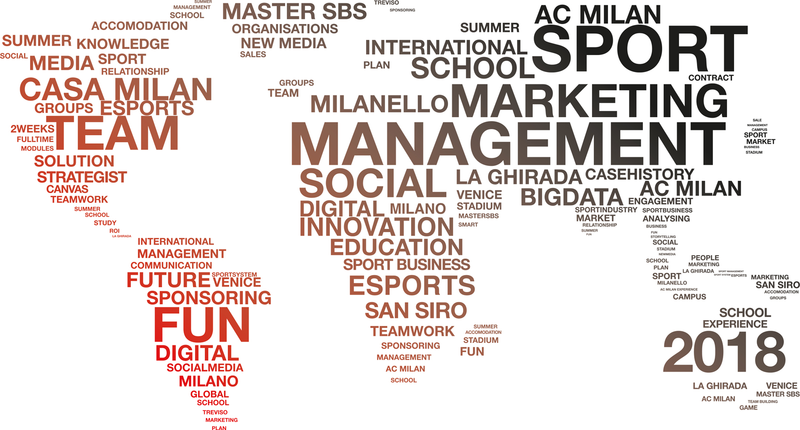 The International Summer School in Sport Marketing (ISS) offers an advanced education programme focused on sport management, organisation, marketing and communications topics, in a unique environment, where sport management education and summer-time leisure find an extraordinary combination. The ISS is delivered under the scientific coordination of the Master in Sport Business Strategy of the University of Ca’ Foscari of Venice with the support of AC Milan, one of the top football brand in global sport. The academic programme is delivered in English during two intensive weeks of lectures, project works and business cases. An international faculty of sport management scholars and industry experts will provide the class with an highly qualified insight of the industry, its key processes and organization issues. The ISS in Sport Marketing is supported by international top academic and sport industry corporate partners and will release a Final Certification of Attendancy.